Here are some of the artist cards that I have done, as gifts for friends and family. 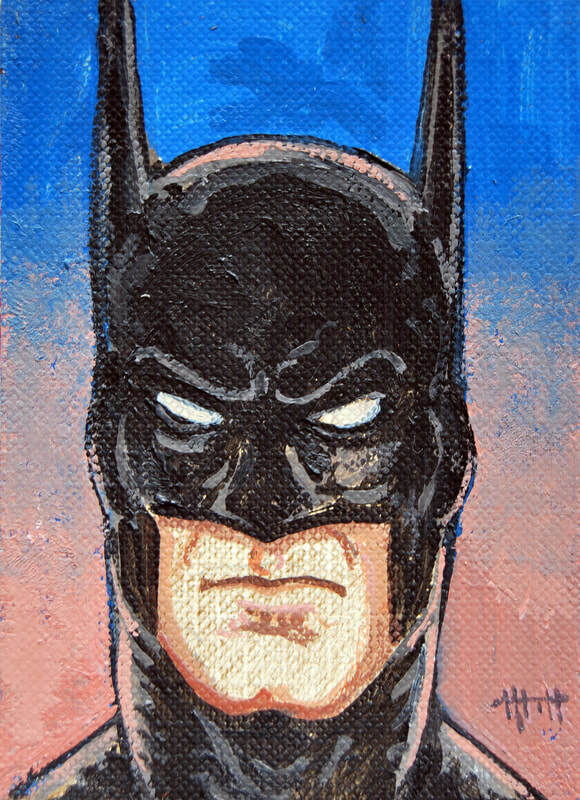 From copies of famous paintings to portraits of athletes, comic book characters and more. 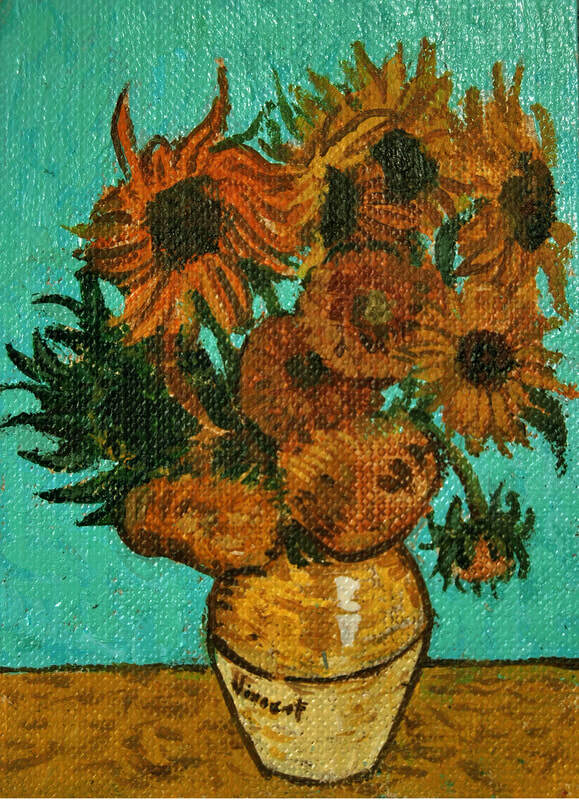 Copy of Van Gogh's Sunflowers. 2018. 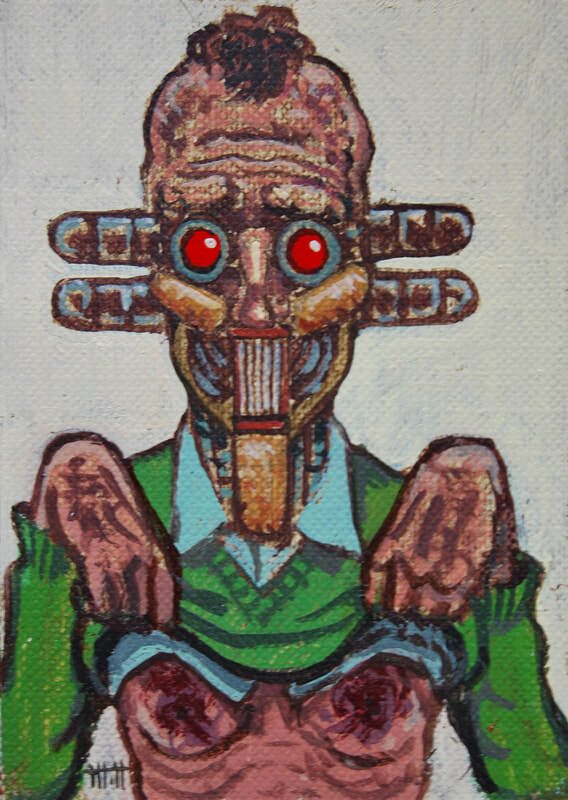 3.5x2.5 inches. Acrylic on canvas paper. Corto Maltese. 2018. 3.5x2.5 inches. Acrylic on canvas paper. 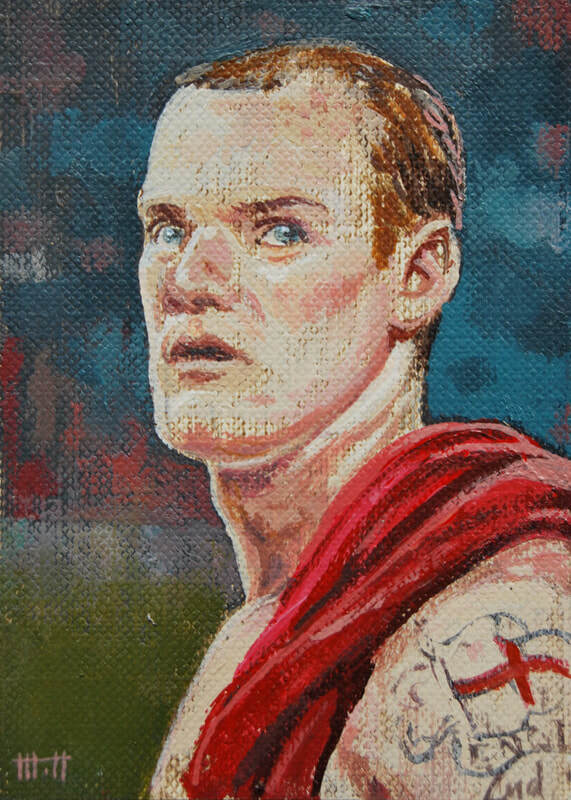 Wayne Rooney. 2018. 3.5x2.5 inches. Acrylic on canvas paper. 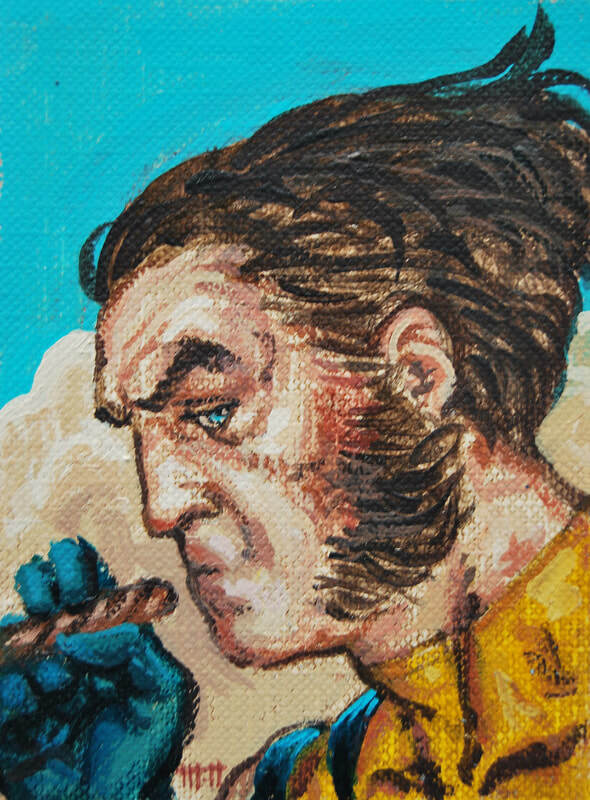 Logan. 2018. 3.5x2.5 inches. Acrylic on canvas paper. Batman. 2017. 3.5x2.5 inches. Acrylic on canvas paper. Golobulus. 2017. 3.5x2.5 inches. Acrylic on canvas paper. 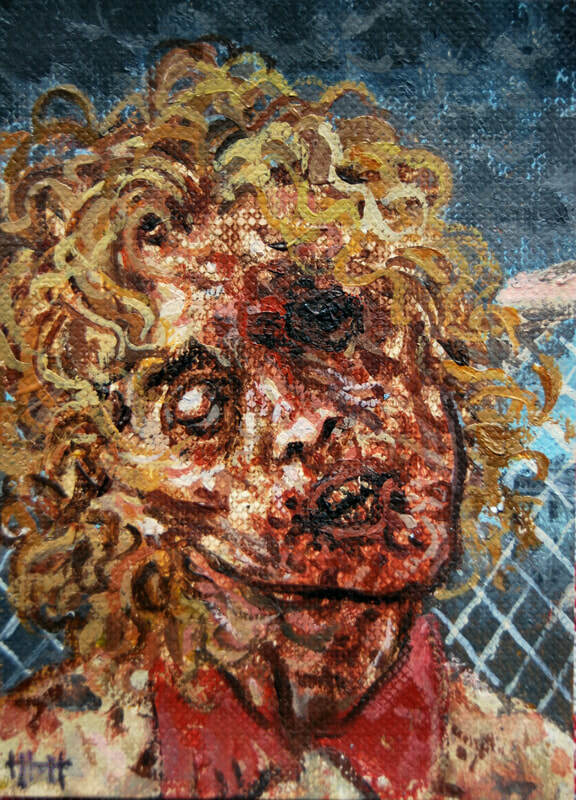 Zombie Cheerleader. 2017. 3.5x2.5 inches. Acrylic on canvas paper. 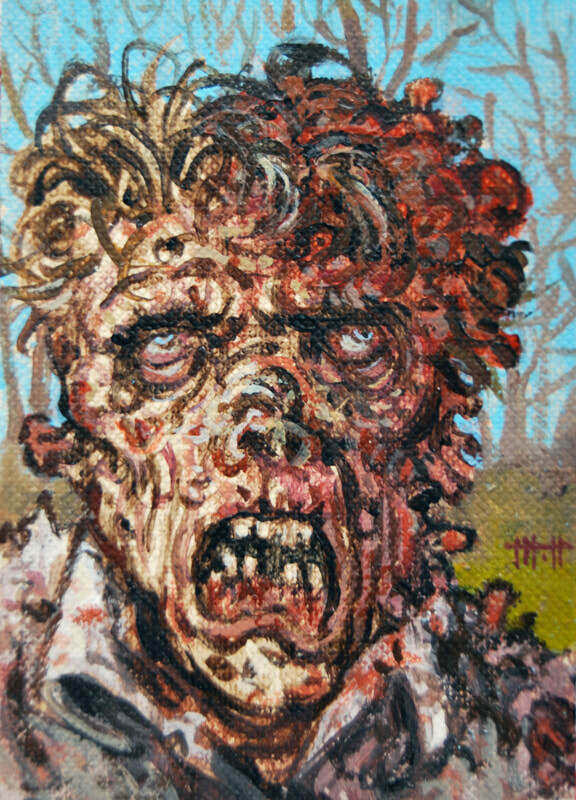 Zombie Man. 2017. 3.5x2.5 inches. Acrylic on canvas paper.